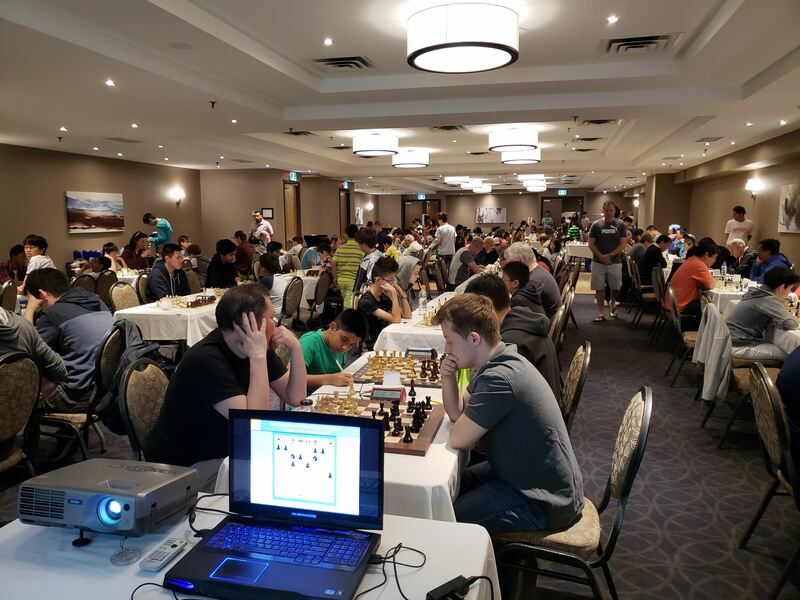 Registration can also be done via email by sending an email with first and last name of player, CFC ID, and section to info@elevatemychess.com. Payment should be sent by PayPal or email money transfer to: info@elevatemychess.com. Where applicable, use Elevatemychess as password. Rating: The latest highest of CFC / USCF / FQE / (FIDE + 100 pts) to be used. Special rate of $129 per standard guest room per night. Reservations must be made prior to Feb 22, 2019. Only 12 rooms available at this special rate! For reservation, call 1-800-SANDMAN or (905) 238-0159. For special rate, quote the Group Code 221667. No cash refunds on withdrawal. Credit for equal amount will be given if you notify us of withdrawal on or before May 25, 2018. Credits can be used to register for tournaments and other programs offered by Elevate My Chess. Registration fee will be forfieted if you don’t notify us of withdrawals before March 15, 2019. However, consideration for credit will be considered in special circumstances on a case by case basis.